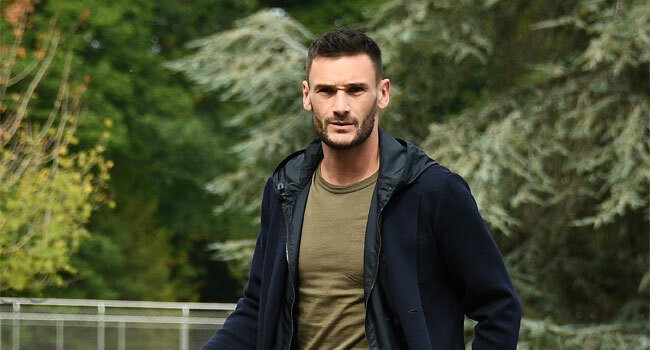 Tottenham ‘keeper Hugo Lloris hailed the mental strength that saw World Cup winners France overcome a patchy opening period to beat Germany 2-1 on Tuesday. Germany traveled to the Stade de France looking for the win that would salvage their Nations League campaign, and some pride, following their disastrous World Cup. Joachim Loew’s side got the start they wanted when Toni Kroos fired a 14th-minute penalty past Lloris. But after a much-needed half-time pep talk from coach Didier Deschamps, the hosts emerged after the interval to see Antoine Griezmann level just after the hour, and he clinched the win by converting an 80th-minute penalty. Les Bleus captain Lloris was one of several players who admitted the hosts had desperately needed to raise their game against a rejuvenated Germany side that showed plenty of promise. “When we lift our level, the players’ talents really come to the fore,” said Lloris. He also hailed France’s defensive efforts in the closing minutes. Following a scoreless draw against Germany in Munich, a 2-1 win over the Netherlands and a tense 2-2 draw with Iceland, France sit top of Group 1. Germany is bottom on one point after failing to register a win in the competition so far following their draw with France and a humbling 3-0 defeat to the Netherlands at the weekend. Despite an average age of 25, France is showing maturity beyond their years — a tendency vice-captain Raphael Varane believes was crucial to their World Cup success. “We managed to win the World Cup thanks to our mental qualities, despite some difficult moments,” said Varane. Although he is only 25, the central defender has already won four Champions League titles with Real Madrid. Yet without Griezmann making the difference on Tuesday, and the telling contribution of second-half substitute Kylian Mbappe against Iceland, France would have perhaps been faced with their first defeat since March. Atletico Madrid star Griezmann admitted the first half against Germany “was much like how we played against Iceland. “We weren’t ourselves, either in the one-on-ones or in terms of the efforts we made for each other.